- Almost unheard of summer skiing! During the winter, Tignes brands itself as the sportiest of all the Alps' ski resorts. Come summer, that's no different - all that changes are the types of sports visitors can enjoy! Snowboarding and skiing takes a back seat and a huge range of summer activities, including cycling, hiking and water sports, come into their own. 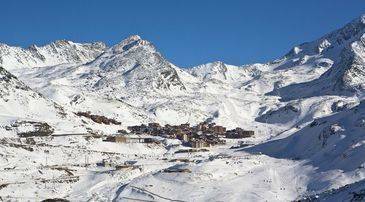 Located in the huge Espace Killy area of the Alps, Tignes is a purpose-built resort. It's made up of five villages: Val Claret; Le Lavachet; Le Lac, which are the three liveliest; and Les Boisses and Les Brévières, which both sit further down the mountain. There is a free shuttle bus between all the villages, and with maps and timetables available at all stops, it's difficult to get lost. Tignes is hugely family-orientated, offering masses of activities for both children and adults throughout its short summer. With a high average snowfall that once reached 8m, and as a glacier resort, Tignes usually only closes its pistes for 10 weeks in the summer. This means that if you visit early in the summer, you may even get to try some summer skiing! There's no denying that some of Tignes is fairly ugly, with plain 1960s block. However, people come to Tignes for the sports, and that's exactly what you'll find in abundance here. There's a natural 25-hectare lake in the heart of Tignes that, in the summer sun, becomes a hive of action and activity. Hop on board a catamaran or dingy and set sail across the lake, or take part in the daily races. Try the Blob Jump, to be catapulted into the water, or the Jumping Slide, to whizz into the lake from a height. Also keep your eyes peeled for the experts, practising flips and jumps on their skis from the lake's jumping ramp. Pop the kids in a water ball and roll them on to the lake for an hour of implausible fun, or jump aboard a white water raft for high-adrenaline action. For more leisurely water sports, Tignes offers kayaking or stand up paddling, too. For a simple day's activities, follow one of the many hiking paths around the resort. The pedestrian lifts in the area are free to use from the end of June to the end of August, making accessing the most beautiful spots easy. The huge Vanoise National Park presents gorgeous walks and cycling paths, with wild animals and stunning landscapes to keep you occupied before a well-earned picnic. Children will love the Sports Beach, which offers trampolines, tennis, volleyball, rugby, and even petanque. If you're looking to freestyle, head to the skatepark to try inline skating, BMX and freestyle ATB. Archery: Take up your bows, because Tignes has an archery course at the Lognan Athletic Centre. With workshops for every level, ages six and up and taught by friendly instructors, these lessons are a bargain from just Eu5. Via ferrata: A mash-up between hiking and rock climbing, via ferrata is an exhilarating way to scramble up the mountain side. With cables, lanyards and safety harnesses aplenty, there's no risk, but that won't stop you looking down and gulping! There are routes for all levels, and fully-trained staff to guide the way. Summer skiing: As such a high altitude resort with a glacier, Tignes offers the rare opportunity to try summer skiing. There are 20km of pistes on the glacier and a snowpark, plus a sunspot terrace to enjoy a refreshing drink on. Mountain bike airbag: To practise your jumps on two wheels, head to the Tignes MTB airbag. Gain some speed in the run-up before ascending the ramp and flying over onto the giant air-filled bag for pure adrenaline in a totally safe and free way. With such a sporty reputation, there wasn't always a huge emphasis on good eating  rather fast and cheap. However, with over 40 restaurants to choose from, this is changing. There are now plenty of family-friendly restaurants at very reasonable prices. Head to good value Le Grenier in Le Lavachet for a family-run welcome and traditional Savoyard meals, such as raclette, fondue and grilled meats. L'Armailly in Les Brevières offers mid-range food that's as delicious as the menu sounds. With fish starters, tasty pizzas and rich slow-cooked meat dishes, there's plenty on offer here, plus they have a fantastic wine cellar. Tignes is not known for its crazy party scene, but if you're looking for a relaxing drink or a laugh with friends, there are options. Most of the liveliest bars are in the central Val Claret, or Le Lac. Head to Drop Zone or Le Couloir Bar in Val Claret for cheap beers on a huge sunny terrace, and live music with cocktails. Grizzly's, again in Val Claret, has a good cocktail menu, plus an outdoor fire pit to congregate around once the sun goes down. Whether you're looking for traditional and cosy, or modern and open, Madame Vacances offers two types of Tignes accommodation. Both of our Tignes residences lie between Le Lavachet and Le Lac, and just north of Val Claret, the three liveliest of the Tignes villages. The Résidence Montana Airelles offers gorgeously modern apartments sleeping up to eight people, with generously-sized living rooms and fireplaces, Jacuzzi baths and a private sauna per apartment. The Résidence Village Montana apartments sleep from four to 10 people, with fully equipped kitchens and access to a communal pool and Jacuzzi. 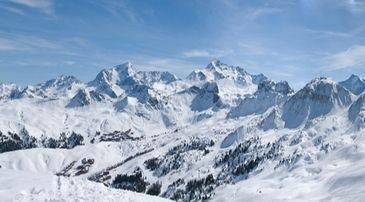 Whichever you choose, look out upon fantastic alpine views, enjoying convenient proximity to all the action of Tignes.